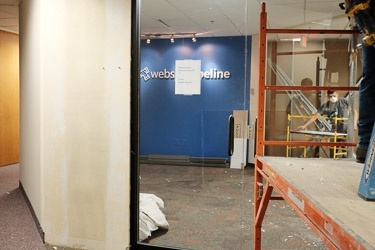 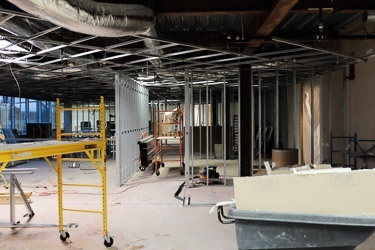 Construction recently began on our office expansion project. 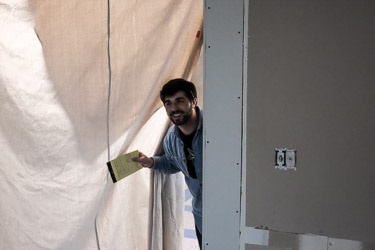 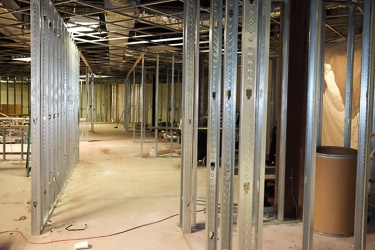 We're building out to a total of 12,000 square feet so we can accomodate our 60+ employees in a contiguous space. 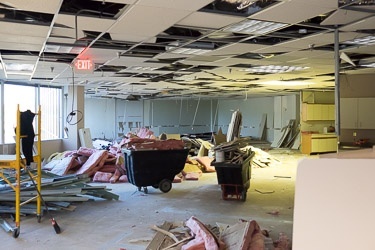 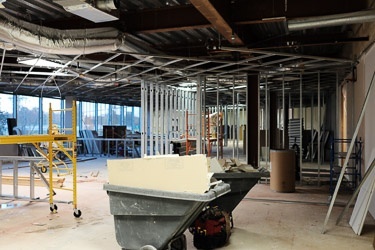 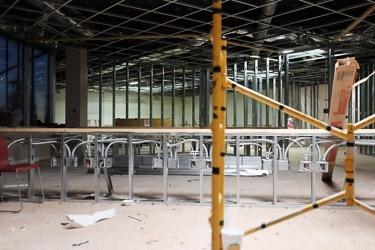 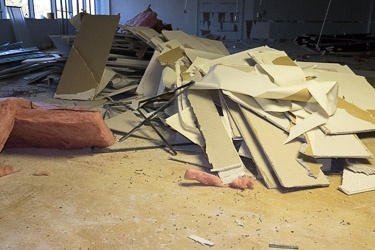 In early November, construction crews demolished the existing offices and created a massive open space. 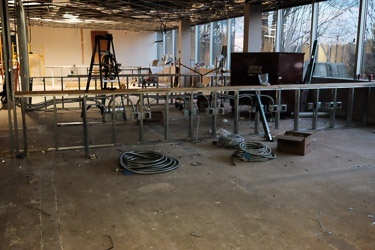 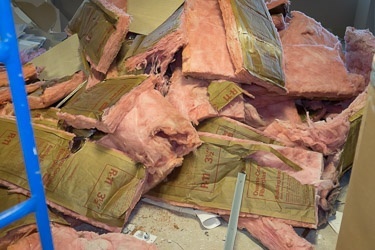 After a quiet few weeks, construction began in earnest this week. 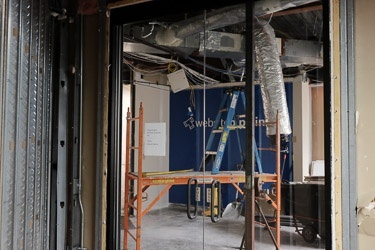 Walls have gone up very quickly, and our existing entrance was demolished, then walled over. 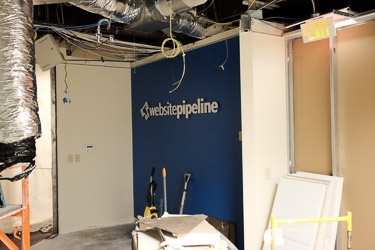 It's a bit chaotic, but things are moving right along and we should be settled into the new space in no time.